As the body ages, it can be difficult to continue living an active lifestyle you may have known in your youth. At-home senior care services can help ensure that you are performing the proper amount of activities on a daily basis, even if they aren't strenuous exercises or sports. A new study that was recently published in the peer-reviewed British Medical Journal indicated that even daily activities, such as pushing a shopping cart, vacuuming a few rooms around the house or taking a walk around the block can help you stave off the risk of disabilities as you make your way through your golden years. Researchers based out of Northwestern University examined a group of 1,700 adults between the ages of 45 and 79, and assessed their level of activity on a daily basis. Participants were asked to wear electronic devices that tracked their daily movements to determine how much time was spent engaged in vigorous, moderate or light activities. They found that those who stayed active were less likely to develop disabilities than those who led a more sedentary lifestyle. 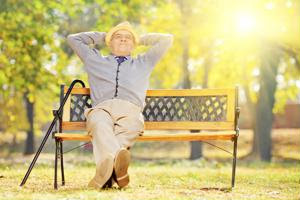 "Our findings provide encouragement for adults who may not be candidates to increase physical activity intensity due to health limitations," Dorothy Dunlop, professor of medicine at Northwestern and lead author of the study expressed to the Senior Journal. "Even among those who did almost no moderate activity, the more light activity they did, the less likely they were to develop disability."